Daily departures designed for parties from 2-6 passengers - perfect for family and friends traveling! (Can be priced for larger groups as needed). The perfect combination of private touring. Visits to: Palermo, Marsala, Erice, Menfi, Agrigento, Modica, Siracusa, Etna, and Taormina. 24/7 Concierge, as well as 24/7 Celtic Help Line as needed. Taormina Hotel: Monte Tauro or Diodoro. City Taxes at hotels is not included and would be paid directly at hotels. Blackouts apply during special events, celebrations, Easter, Carnivals, and Fairs. Blackouts apply during special events, celebrations, Easter, Carnivals, and Fairs. Independent arrival in Palermo. Welcome briefing upon arrival with our local assistant. Overnight in Palermo. 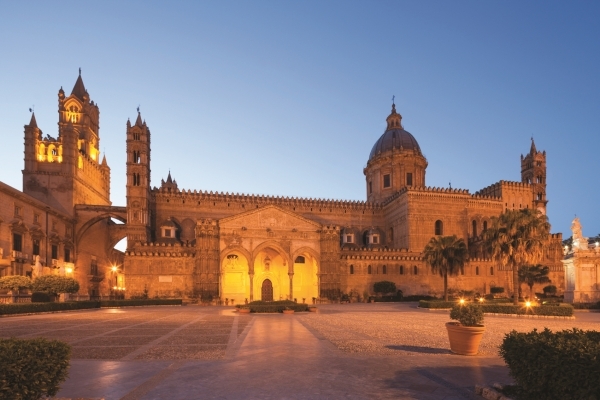 Full Day private visit of Palermo & Monreale with driver guide. Overnight in Palermo. Transfer from Palermo to Menfi and en route stops in Erice, Trapani and Salt Plans for an independent visit. 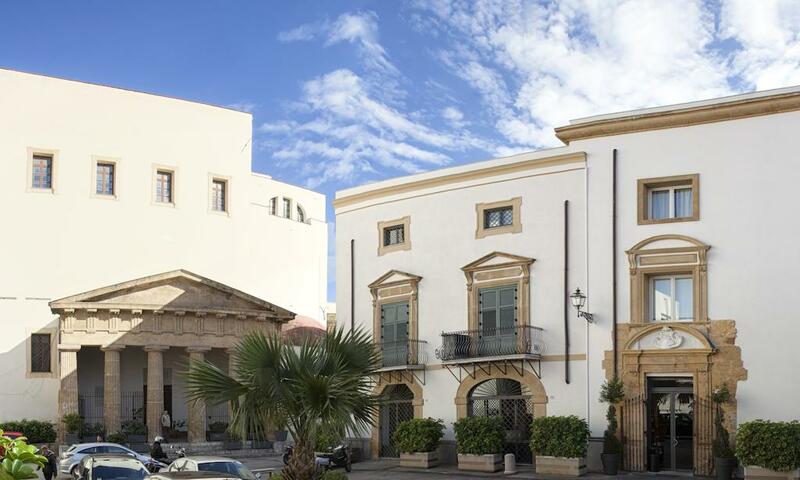 Built around its port, the historic center of Trapani abounds in testimonials to its history and art: ancient buildings, monuments and churches such as the Cathedral of San Lorenzo with its elegant Baroque facade, and the Sanctuary of the Annunziata. History certainly makes itself known here, but the panorama is not necessarily a wallflower, wither. Let your eye wander from the saline works of Trapani e Paceco. Later, the small isle of Mothia, meanwhile, is one of the most important Phoenician settlements with a great number of ruins are visible, specifically the necropolis with the Tophet and the Whitaker Archaeological Museum. Erice, a Medieval town perched on a mountain, offers an incredible panorama and boasts a millenary history, evident in its still-extant section of Punic walls. Late afternoon arrival in Menfi (Agrigento) and overnight. 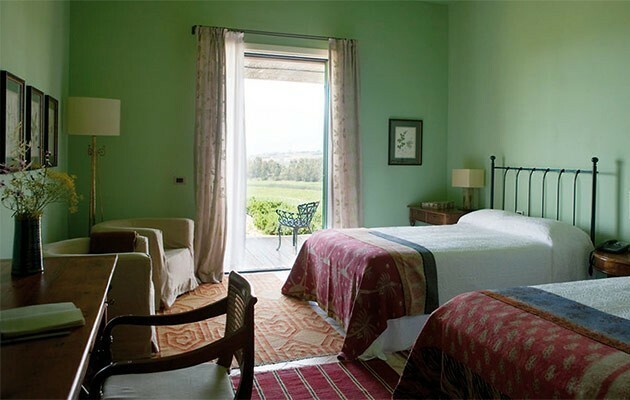 Free time to explore the area, famous for archaeological sites and vineyards or have a cooking class at Planeta Estate. Overnight in Menfi, Agrigento. Transfer from Menfi to Siracusa and en route stops in Agrigento for a guided visit, entrance fee included. En route stop in Modica for an independent visit. Overnight in Siracusa. Walking guide tour of Siracusa, entrance fee included. Syracuse was defined by Cicero as “the most beautiful city in Magna Graecia.” He was right of course. 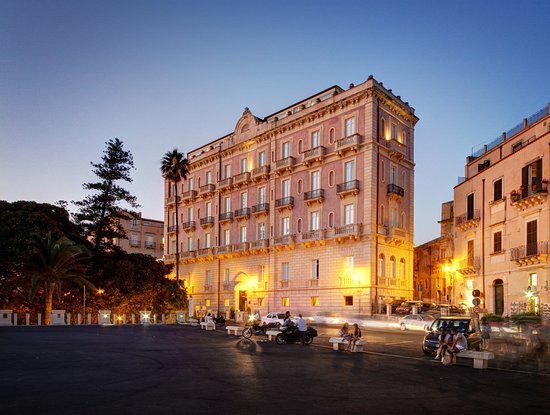 Still today the echoes of its ancient grandeur reverberate from the streets, churches and monuments, corroborating its religious and cultural importance: Syracuse is a destination no traveler should pass up and, with Sicily's Mediterranean climate, can be visited in any season of the year. Made a UNESCO World Heritage Site in 2005, the city conserves ancient vestiges in every niche and corner, from Classical testimonies to Baroque splendors, all within a landscape of enchanting beauty. Overnight in Siracusa. Transfer from Siracusa to Taormina. Along the way, enjoy the beautiful views of the Etna volcano. Upon your arrival, visit Taormina with your guide. 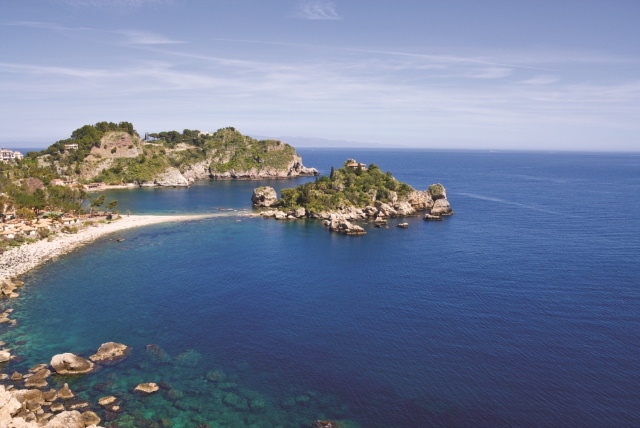 Taormina 'the Mediterranean Pearl', is sited on a natural terrace sheer above the sea. The Greek theatre is one of the most suggestive spots, sited on a fantastic position and dipped into the blooming nature of this land. It is hard to say if the audience, today as well as at that time, attend the performances without sustaining the fascination of the wonderful view that it is possible to admire from the ancient stalls. The view goes straight across the sea and reaches the Calabria coasts, the town of Siracusa and the Etna's peak. In this peerless scenario a lot of cultural events take place like for example the significant international event of the Movie Festival. Taormina is an ideal destination all year round, thanks to the mild climate and the touristic offer oriented to fun, relaxation and joie de vivre. Overnight in Taormina. Departure date is the date one BEGINS IN ITALY. Air date should be booked one day prior to allow for overnight flights to Italy.